There are currently more than 1 million small businesses in Canada employing hundreds of millions of people. In fact, small businesses of up to 99 employees make up 98% of the country’s workforce. Many of these small businesses are individual ventures operated by freelancers. These kinds of businesses need all the help they can get, including selling platforms such as Fiverr. Fiverr is a web-based online marketplace offering tasks and other digital services that freelancers can use to sell services to customers looking for reliable contractors without having to haggle or barter. It is one of the most straightforward and easy-to-use systems on the Internet thanks to the forward thinking of Fiverr’s creators. The site currently lists more than 3 million offered services ranging in price from $5-$500. The Fiverr platform has two components: the contractor component and the customer component. Contractors, or freelancers, can join Fiverr free of charge and begin posting their work, also known as ‘gigs’, right away. The freelancer simply chooses the category, enters a description of the service offered, selects a set price and time frame, and clicks the appropriate button to publish the gig. That’s it – it only takes a few minutes. Freelancers are paid when a customer purchases the posted service. Because the site is free, it does charge a commission based on 20% of the transaction fee. Therefore, for every $10 a freelancer charges, he or she gets paid $8. There are no membership obligations, no annual membership fees, and no contract. The customer side of the service is also free. Customers sign up for a free account with no membership requirements or other obligations. They can then immediately browse categories while looking for a gig they are interested in. Once they find what they are looking for, they click the button to purchase the service, and off they go. Freelancers have many resources available online to sell their services. The main advantage of Fiverr is the site’s straightforward nature. Because there are no contracts and no membership obligations, freelancers can come and go as they see fit. There is also no haggling or bidding process involved. The freelancer sets the price, and that price remains non-negotiable. Customers accept it or move on to another provider. Use it as a place to advertise one-time services. It is not a suitable platform for offering broad, ongoing services. Use it as a means to pick up extra jobs when regular work is slow. It is an excellent seasonal tool. Use it as a marketing platform alongside your own website and social media presence. Linking back and forth helps a lot. Freelancers need to be aware that Fiverr is intended to be an online marketplace for individual gigs rather than ongoing services. You can still use it to sell ongoing services, just as long as each offering you list is presented as an individual gig. While Fiverr is an excellent platform for freelancers, there are some things to watch out for. First of all, ratings are everything. If you are not fully prepared to meet customer expectations, you may not want to advertise on Fiverr. Along those same lines, be very clear and detailed in your gig descriptions. Do not be vague or ambiguous unless you want to end up with unhappy customers. A second thing to avoid is the unrealistic expectations that often come with sites like these. Fiverr will be a helpful tool to help you fill out your schedule. However, it is unlikely you will make your entire living using just this site alone. You have to get out there and find work if you want to stay busy. Freelancers need all the help they can get to stay productive and gainfully employed. Fiverr is a site that can help make it happen. It is free, millions already use it, and it provides a secure platform where trust is essential and haggling is eliminated. You might consider it as a tool for your own freelancing business. 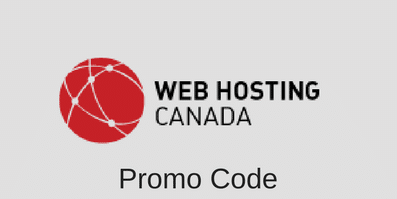 This entry was posted in Web Hosting Reviews on August 15, 2015 by WHR.